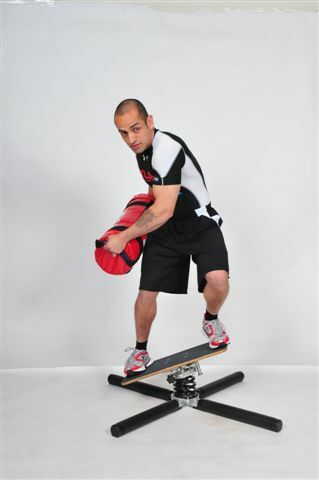 Core training exercises help to build muscle strength and reduce the risk of injury, and are also essential for rehabilitating muscles after injury. Below are a list of sample exercises. Please not that it is essential that you get the advice of a professional physiotherapist or qualified fitness trainer, before undertaking any exercise programme. Should you have a medical condition, are pregnant, or are starting out exercising after a period of inactivity, we also recommend you consult your physician. 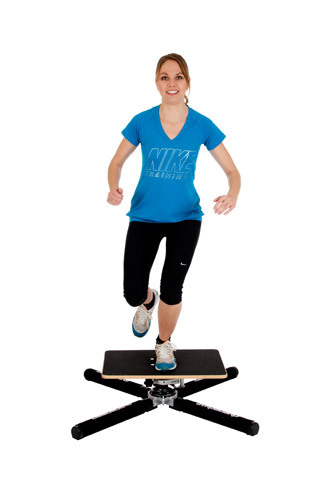 Stand on the Gyroboard with heels over edge and toes on board. Rise up on toes slowly. Lower heels back down over the edge slowly. Repeat steps 2-3 for desired amount of reps. 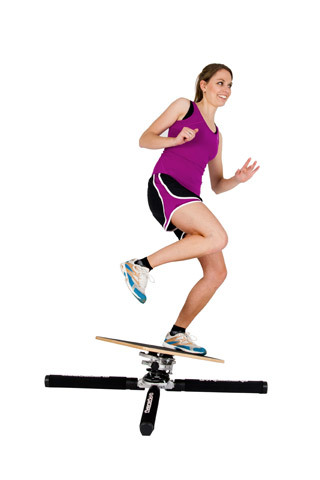 Stand on the Gyroboard with feet across board. 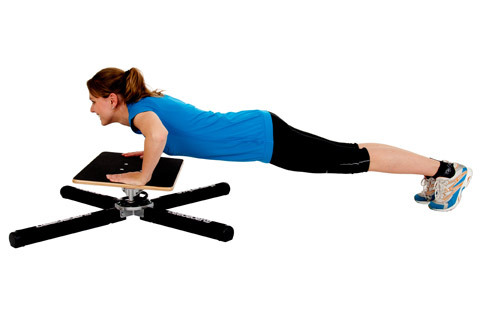 Lie face down with arms on the Gyroboard in press-up position. 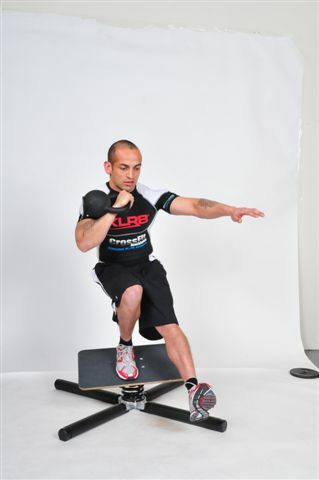 Raise and lower body slowly, keeping torso and legs straight. Repeat for desired amount of reps. 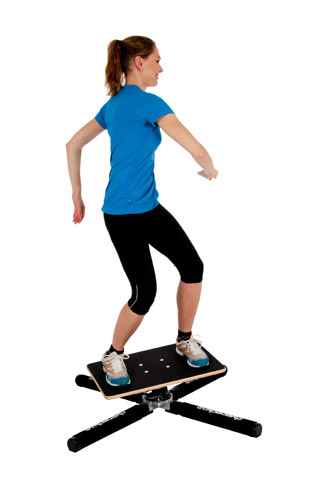 Stand on the Gyroboard with feet shoulder width apart, hands in front. 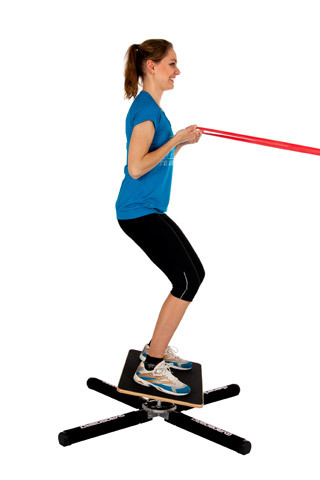 Slowly lower body by bending knees and hips, until thighs are parallel with floor. 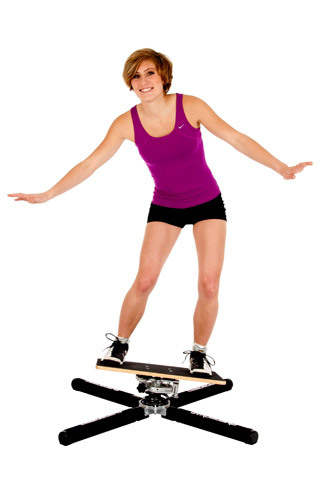 Stand at one side of the Gyroboard, facing away. 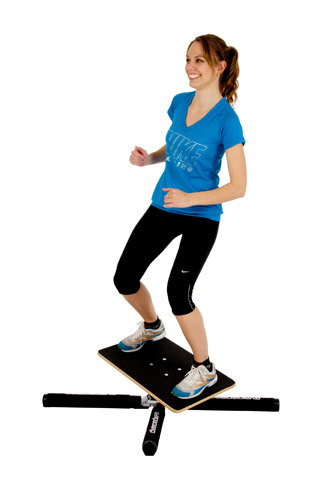 Place one leg behind, resting foot on the Gyroboard. Bend front leg and lower body, whilst bracing abdominals and keeping back straight. Please do keep in mind that all prehabiliation and rehabilitation exercise programmes should only be started after a personal consultation with a qualified professional. 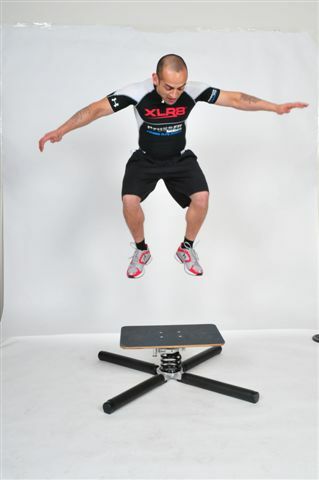 The information on this website will never replace an actual physical assessment of any injury or fitness ability.